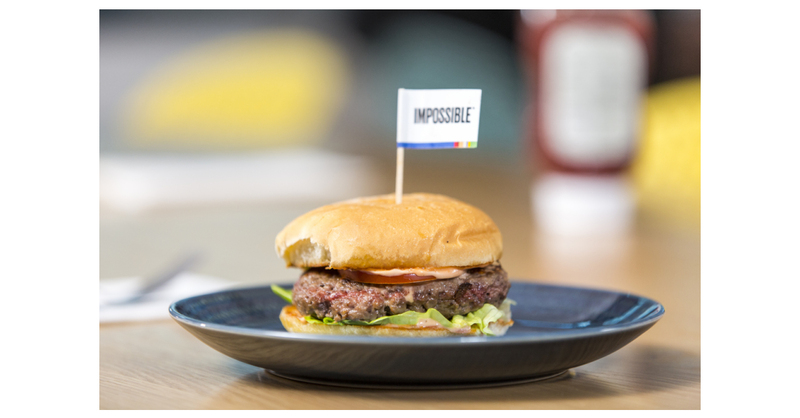 LAS VEGAS–(BUSINESS WIRE)–Impossible Foods launched its first major product upgrade this week at the International Consumer Electronics Show — and Impossible Burger 2.0 took home the show’s highest honors. More than 4,400 companies exhibit new products at CES, considered world’s most important tech show and home to the industry’s most groundbreaking product debuts. Editors from the technology blog network Engadget selected the winners, based on world-changing significance, product quality and market demand. The accolades are unprecedented for a startup in a new category. Impossible Burger 2.0 was the first food ever showcased at CES, which features breakthrough technologies from connected homes to self-driving electric vehicles. Impossible Foods’ scientists are already hard at work on additional improvements. CEO and Founder Dr. Patrick O. Brown said the food tech startup plans to scale up faster than its tech neighbors in California’s Silicon Valley. Read this blog post by Chief Science Officer Dr. David Lipman to learn more about how Impossible Foods improves the Impossible Burger. Impossible Burger 2.0 debuted Jan. 7 at Border Grill, the award-winning restaurant from Chefs Mary Sue Milliken and Susan Feniger. It’s now available at about 20 of America’s most respected restaurants. (The full list is here.) Next week, about 200 of America’s most beloved “better burger” chains will upgrade to Impossible Burger 2.0. Within several weeks, the next-generation Impossible Burger will be available at more than 5,000 restaurants. Starting Feb. 4, the next-generation Impossible Burger will be available to all restaurants in the United States through major food distributors. At that point, restaurants will automatically get the new 2.0 recipe when they place their next order; by mid-March nearly all Impossible Foods’ restaurant customers will likely be serving the new recipe. Impossible Burger is also available in more than 100 restaurants in Hong Kong and Macau. The company plans to launch the new recipe in Singapore later this year, with additional markets to come.